Think that getting more for your money is a thing of the past? Think again — at least when it comes to getting more skiing. With spring around the corner, the best of the Northeast's spring skiing deals are just beginning to surface. And the sooner you buy, the more you can save, and ski! 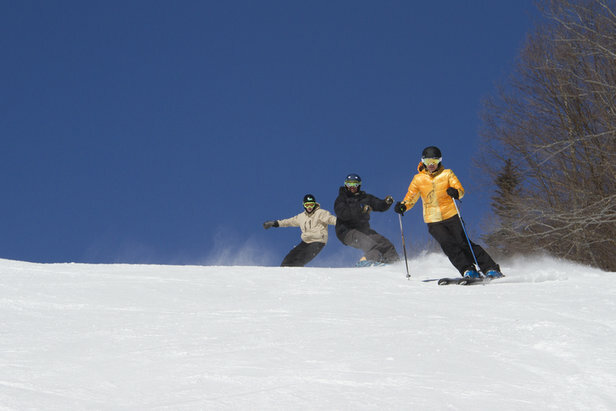 The party will be in full swing when Okemo's Spring Skiesta Cards go on sale for just $99. Swain skiers can ski free all spring when they buy ahead for 2014/15. And Crotched's Spring Fling will get you all of the spring turns you can handle for $149.